THIS RETREAT IS SOLD OUT. THANK YOU! BE SURE TO JOIN OUR EMAIL LIST AT BOTTOM OF THIS PAGE TO STAY IN THE KNOW OF FUTURE RETREATS. Inspired by a deep belief in the power of heart-centered conversations, introspective journaling, movement + spirituality to create internal space, and mama nature to help women heal, remember and unlock their feminine wisdom and radiance that has been suppressed for too long. 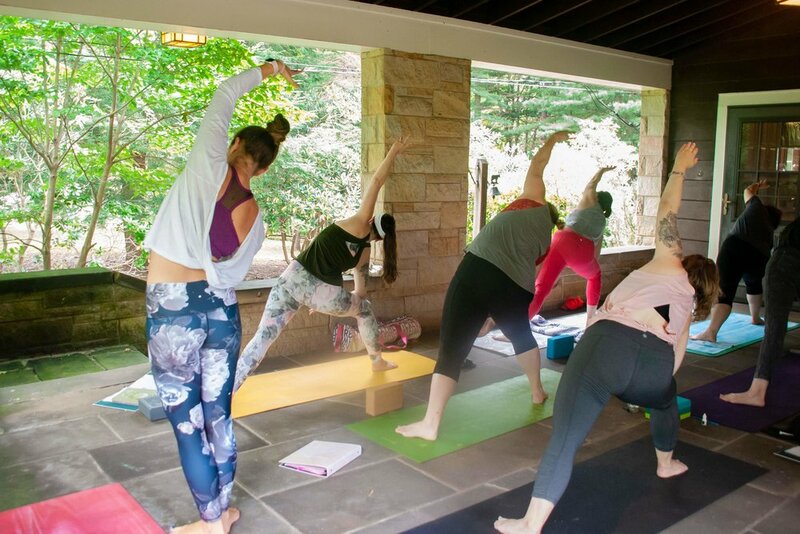 Join me August 16-19 (check in 5:30pm, first dinner at 6:45, check out 10am) for a long weekend retreat near Ohiopyle State Park, PA to disconnect in order to reconnect to your feminine mind, body, heart, and spirit through a daily Kundalini meditation, Vinyasa Flow classes, intuitive dance classes, journaling, group discussion, radiance embodiment activities, and group nature excursion all in the company of like-minded women and only 2 hours outside of Pittsburgh. 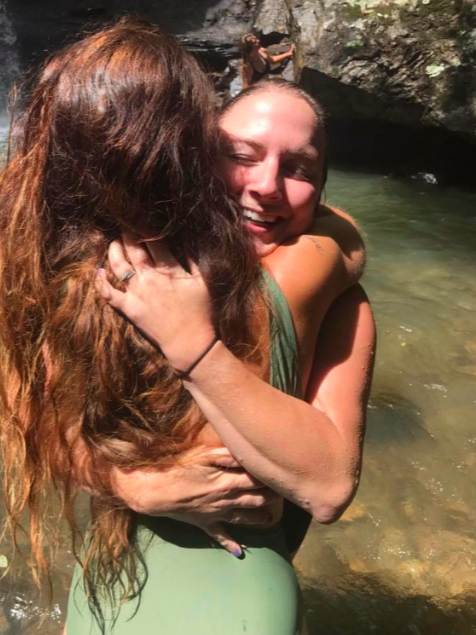 WHY I MADE THIS RETREAT: 2016 was the hardest year of my life after breaking off an engagement, but I found wholeness, healing, deep self love, gratitude, abundance, and learned to embody my innate feminine radiance through meditation, yoga, journaling, and reconnecting with Mother Nature, which inspired me in 2017 to create The Journal Deck and its basis in self care. I feel called to share these healing techniques with other women in person to truly embrace your most radiant life- unapologetically! Extra Down time this year to do as you please--read, write, sun bathe, etc. 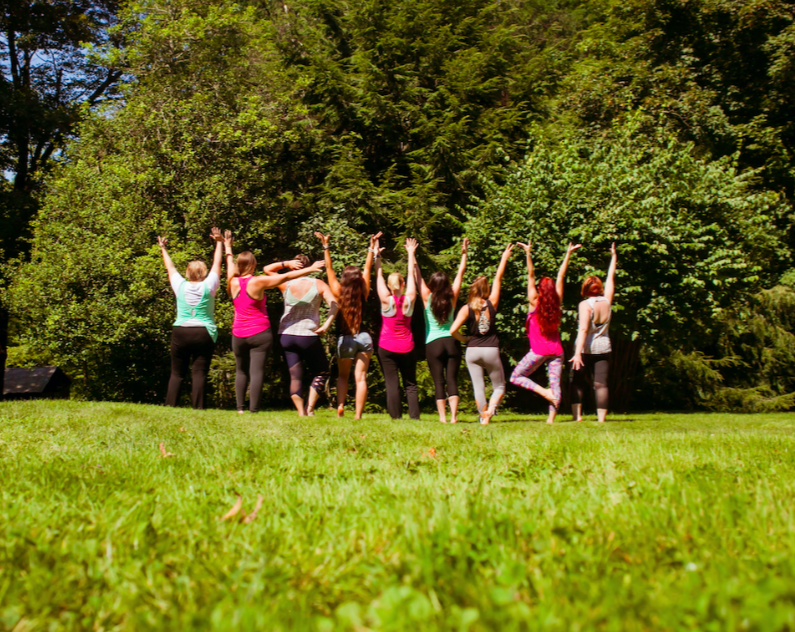 IF YOU DESIRE TO CONNECT WITH YOUR FEMININE ENERGY AND TO FIND HEALING, CLARITY, AND CONNECTION THEN THIS RETREAT IS FOR YOU. The woman who wants to reconnect to her innate feminine radiance. The woman who feels burnt out and seeks a softer, more pleasurable paradigm of success. The woman who wants self care to be her lifestyle, not an after thought. The woman who wants to feel like a goddess in an out of the bedroom. The woman who wants to feel confident, electric. The woman who may be in the process of healing. The woman who needs to unplug. The woman who seeks inspiration and flow in her life. The woman who wants to deepen her connection to herself and trust in the Universe. The woman with an open mind. The woman who wants to more deeply connect with other women. The woman who wants to put herself first. Close-minded women who cannot see the value in inner, spiritual work. Women who are not ready to own their part in their happiness. Women who are not willing or ready to get uncomfortable. Women who are not willing to share and listen equally. Those who aren’t willing or ready to do the work. To Alyssa & all of the ladies who attended: thank you so much for this retreat! It’s not easy for me to open up and trust new people. You created a safe and friendly environment for the rest of the women and me. 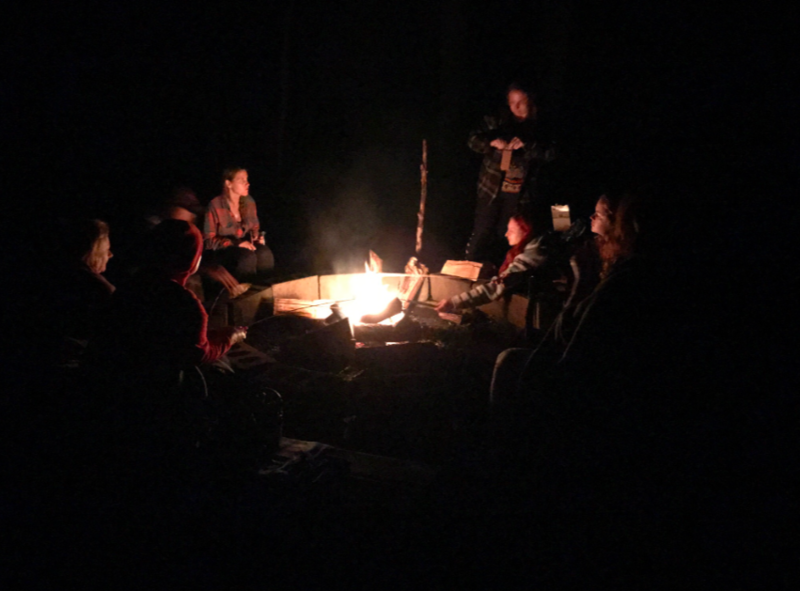 This retreat was so much more than the yoga, journaling and meditation. I learned to trust more, take more risks, and pursue my dreams with confidence! We have old soul women in their early 20’s to women awakening later in life in their mid to late 40’s. Truly age is just a number and it’s the energy that you bring to the group. Although I offer modifications, I will not be breaking down basic poses therefore some asana experience is preferred. Perhaps go to some basics classes or check out my monthly free yoga classes (see bottom of page) to get your footing by the time of retreat. Advanced practitioners not required. If calling yourself a goddess feels weird, you’re not alone. That’s why many of the women are here! I used to think ‘goddess’ was mumbo jumbo. No worry, by the end you’ll have a solid understanding of feminine living to bring into your daily life. Is this a spiritual or religious retreat? I would NEVER call this a religious retreat, but certainly a spiritual journey. If you are not open-minded or unwilling to “do the inner work,” then this retreat isn’t for you. You’ll do it when you’re ready. First, dance experience NOT required. Second, EVERYONE can dance! Babies move to a beat.You’ve just gotten a bit stuck and we will work to unlock that feminine, shakti energy to get your hips swaying and find that flow. You just gotta have fun and let go. The ladies loved it! How can I connect with the other women before hand? Once most of the women are signed up, we will have a private Facebook group to get to know each other. 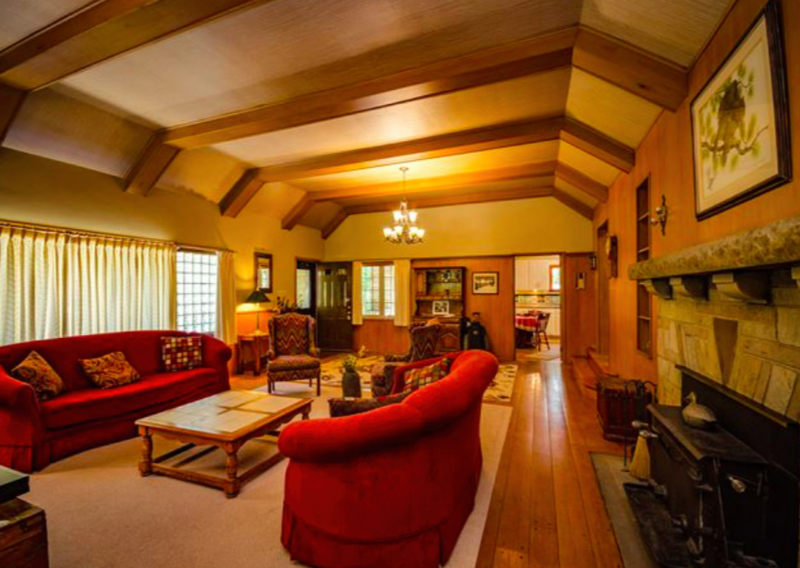 This is also an awesome place to perhaps make a connection to carpool. Note that payment is due in full by August 2nd, regardless of when you make your first monthly payment if you take option 2. Therefore, all sign ups must also be before August 2nd in order to ensure that I have adequate time to prepare for the full amount of guests. (Please reach out to me personally if you pass this date and would still like to sign up if there's room). Also, there is a strict cancellation policy that requires you to notify me by July 16th that you will NOT be attending the retreat in order to receive a full refund of all but $100. Otherwise, if you cancel after that date, you will need to pay for half of the retreat price.